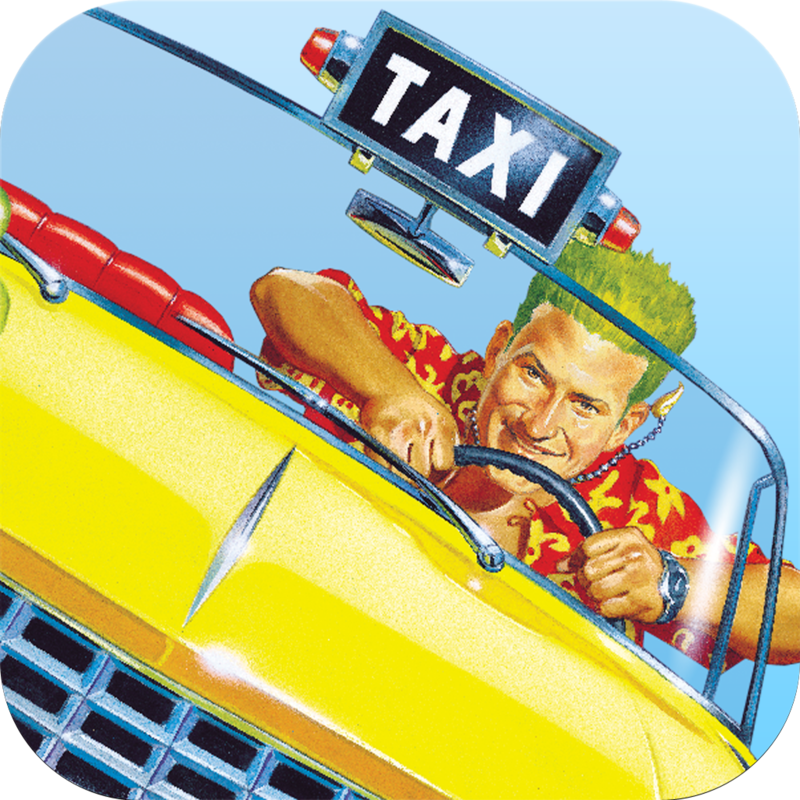 Crazy Taxi™: City Rush (Free) by SEGA is the newest entry in the Crazy Taxi franchise that is designed for mobile devices. 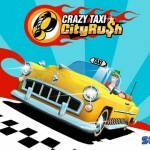 Crazy Taxi: City Rush was created by Kenji Kanno, the original designer of Crazy Taxi, in collaboration with Hardlight, the Sega studio that is behind both Sonic Dash and Sonic Jump. 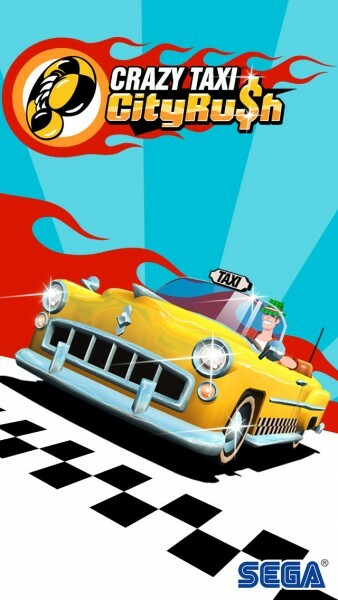 Haven’t we all wished we could make a living by crazily driving a taxi around town and helping people get to where they need to be for some extra cash? Yeah, I’m sure we’ve all wondered how that would be in reality, if there weren’t these things called laws and rules and stuff. Fortunately, we have video games for these types of things, right? 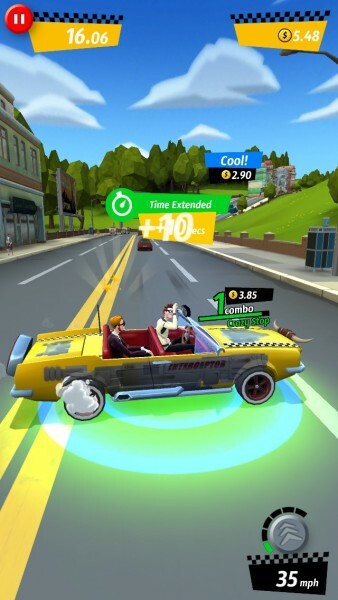 I had a chance to check out Crazy Taxi: City Rush at a demo event in Los Angeles during E3 this year, and I was eager for the game’s worldwide release. Whether you’ve played the original Crazy Taxi or not, City Rush is a fun little pick-me-up throughout the day that has its fair share of pros and cons. 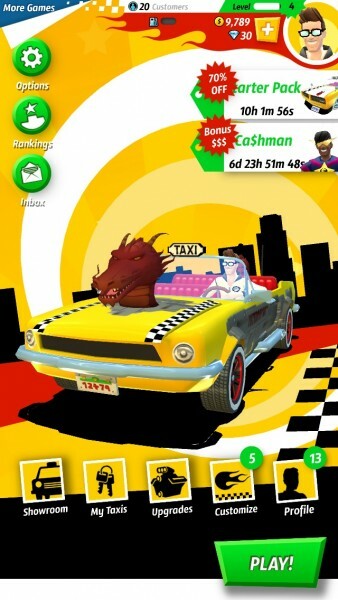 The graphics in City Rush are beautiful, bringing a more modernized feel to the Crazy Taxi series. The bright and colorful San Francisco-inspired Bay City contains new and old architecture, trolley cars, distinctive locales (such as Chinatown), and unique people. 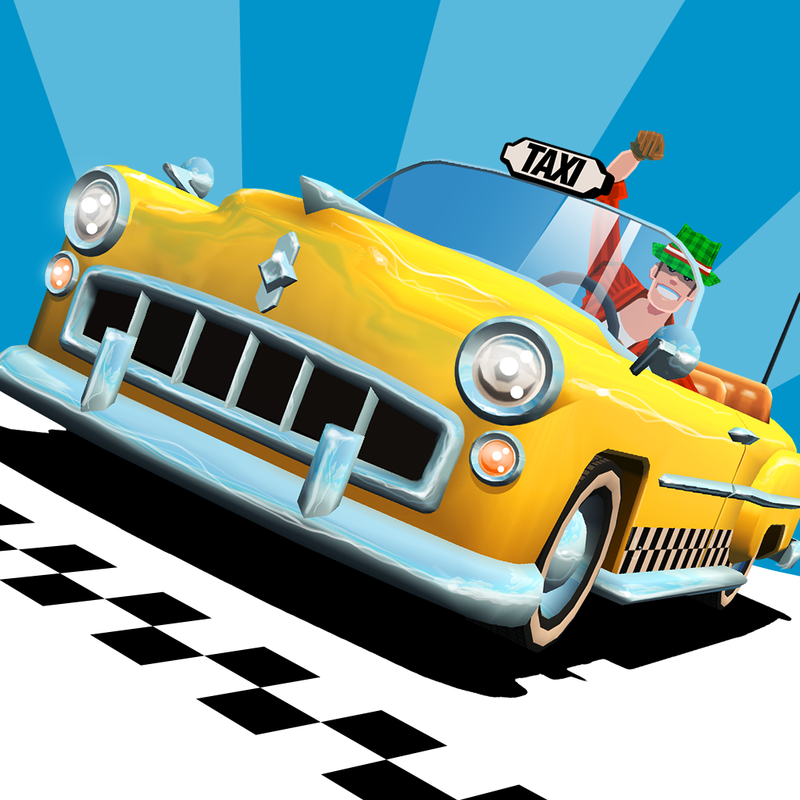 Your taxi, which is fully customizable this time around, will stand out with dazzling color, bling, and upgrades. 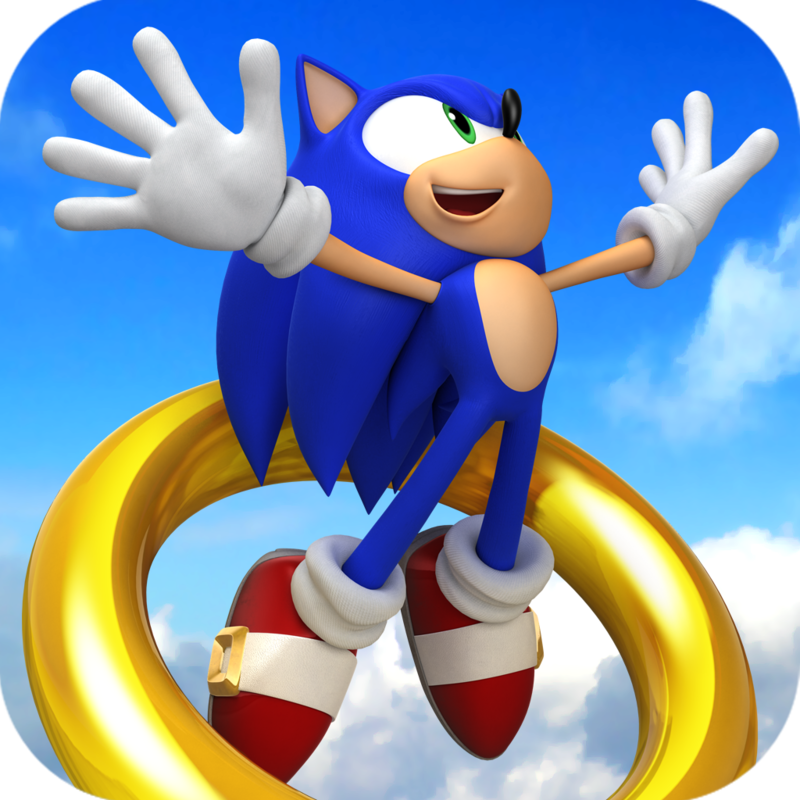 The game menus and level selection screens are also vivid and easy to navigate, and you can play in either portrait or landscape mode. Everything looks great, especially on Retina screens, and the animations are fairly smooth. 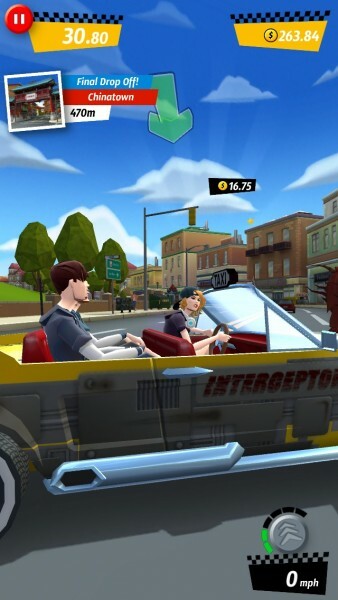 The City Rush soundtrack includes some crazy rock tunes that will get your blood pumping, or you can listen to your own music library through the game. Besides the music, the sound effects are fun to hear as you slam on the brakes to drop off and pick up, or when your customer gives you props for an awesome ride. 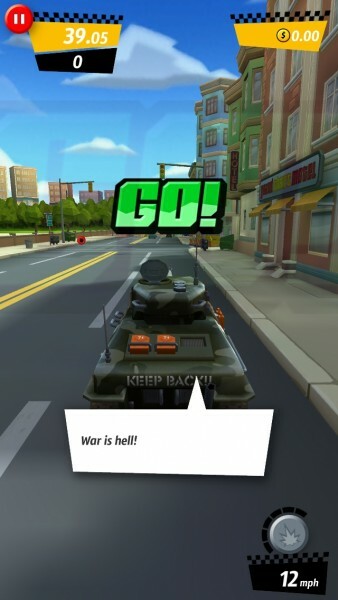 When you play City Rush, you’re asked to set a name that will show on their servers. This was fine, until I kept getting an annoying “we couldn’t validate that” message after almost every game. I’m not sure why this occurs, but it was annoying. I’m not sure if it’s just me, or others have experienced it, though. 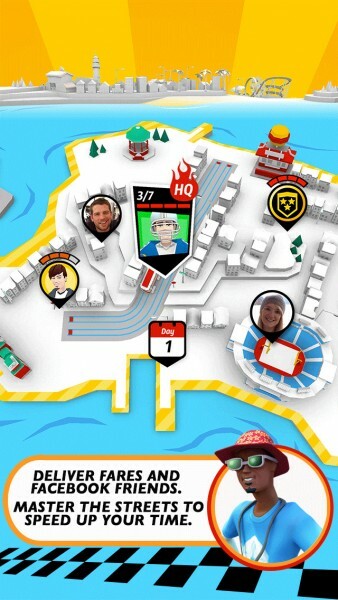 There is also Facebook and Game Center integration for leaderboards and achievements, respectively. Bay City has different sectors that you can unlock by beating all of the missions in the previous area. Each section of Bay City will have several missions for you to play, which will differ in difficulty as indicated with the bars. The jobs are timed, so you only have so much time to pick up your customer and get them to their destination. 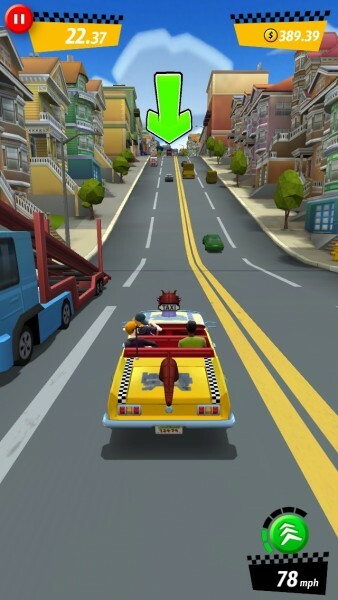 Green arrows on the screen will tell you where to go, so you’re never lost. The controls in the game are what makes this great for mobile. 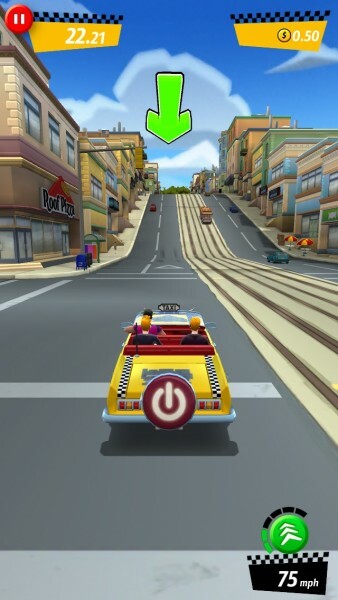 Instead of allowing you to drive the taxi freely like the original, the car accelerates automatically on its own. 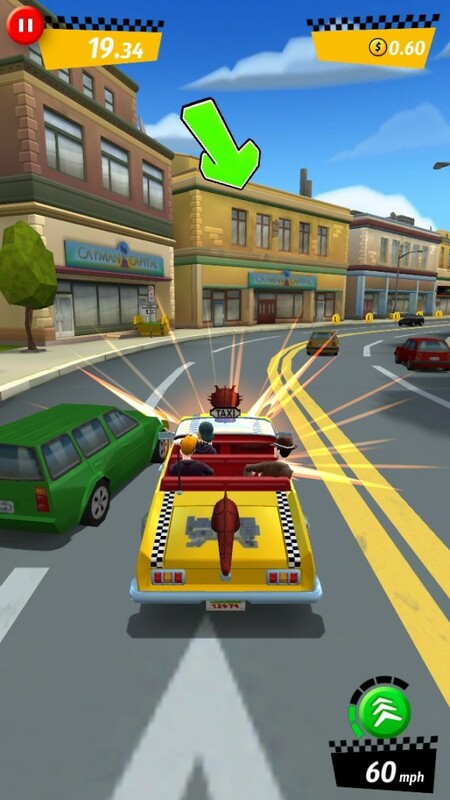 You can change lanes by either swiping or tapping on the screen, and turns are performed by doing a tap-and-hold gesture on the side you want to turn at. If you missed a turn and need to make a U-turn, just swipe down. You can also use your Boost to smash through cars when necessary. 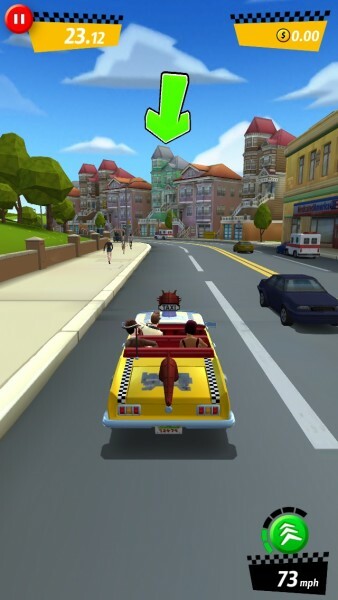 When you reach the destination, you will need to tap rapidly on the screen to brake and have the passenger exit, extending your time for the next passenger. Whether you are successful or not, you still earn some cash for the run, as well as experience. 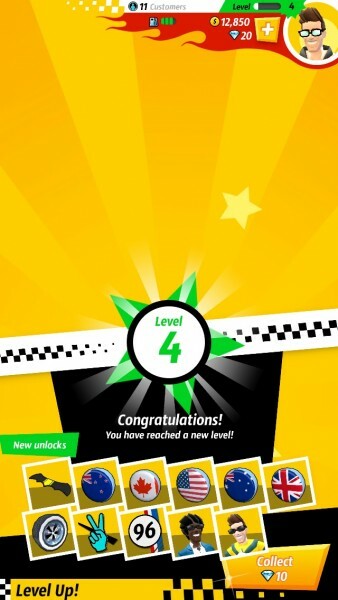 Leveling up will earn diamonds, which are the game’s premium currency, and you unlock items and upgrades for your taxi. 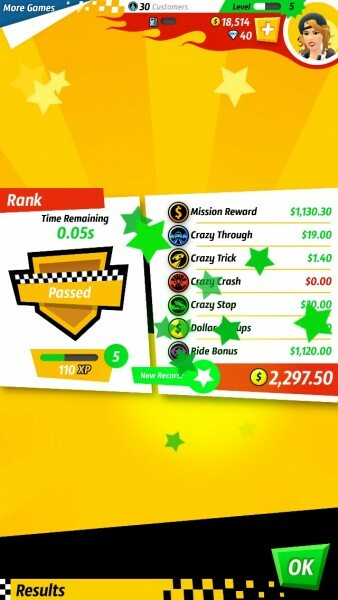 The money you earn for each run is dependent on several factors, including the mission reward, crazy crashes, tricks, stops, dollar pickups, and ride bonuses. 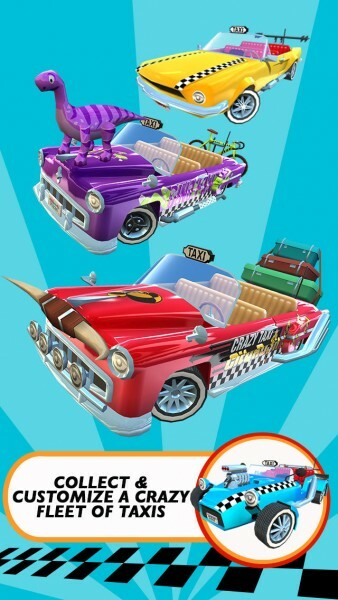 You can spend your cash in the shop to get various customizations to your taxi, all of which can net you ride bonuses in addition to looking magnificent. 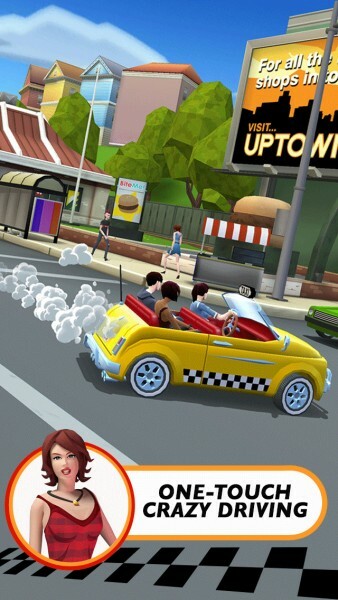 You can also get upgrades for your taxi, increasing the necessities like tires (better cornering), boost, engine, and body. There are also items that you can obtain after dropping off customers, like flippers and fortune cookies. 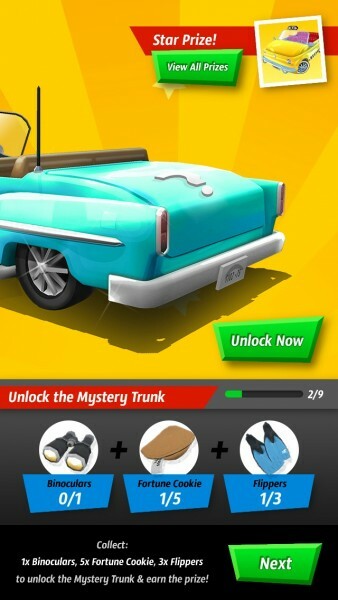 These can unlock a mystery trunk for cool items. 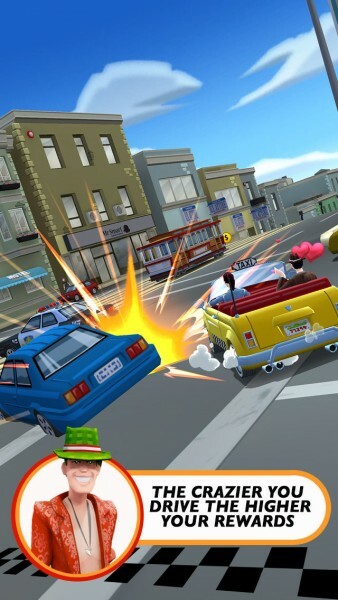 There are also a lot of drivers in City Rush, including both new and familiar faces (if you played the original). You start out with Vincent Cruz and Maria Del Rey, but you can get characters like Jake Johnson, Jaques La Mer, O-Dog, and more. 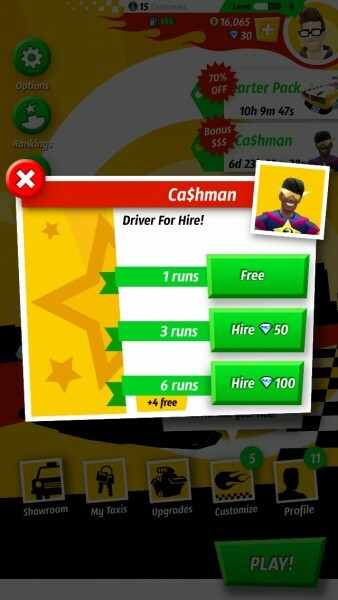 Some of them are available during events, and others can be purchased with cash or diamonds. They have their own special abilities that can help make the job easier. 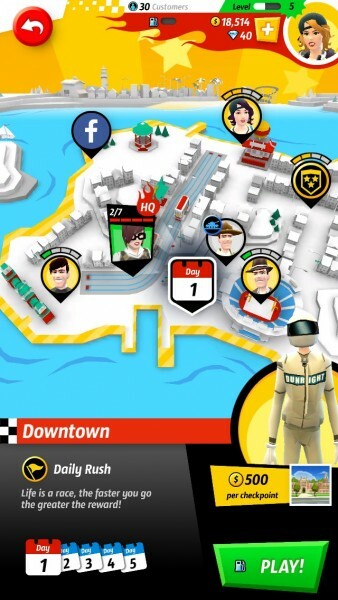 I’m liking City Rush so far, but the biggest annoyance I have is the entire freemium model. 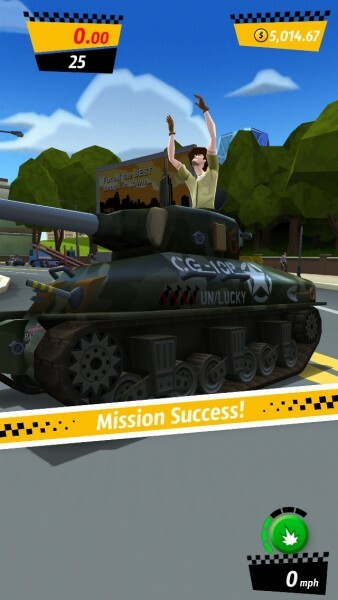 I feel that the game does get a bit aggressive with the in-app purchases at times, especially since it uses an energy system (a tiny gas tank with four bars). 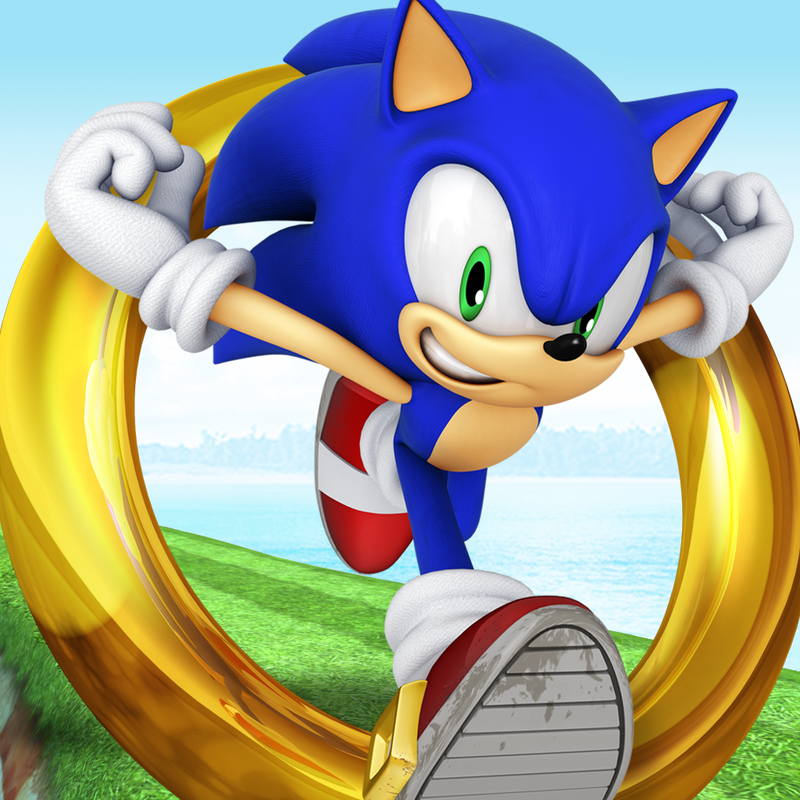 It should at least give you five, like most other freemium games. 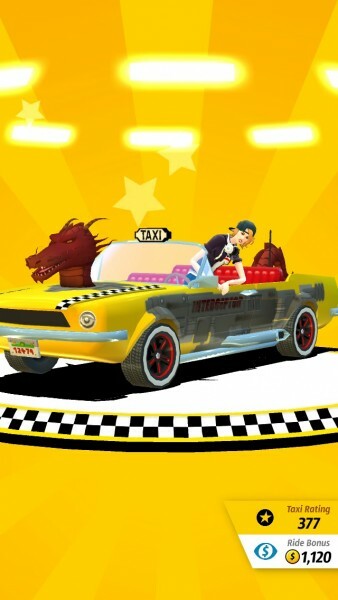 Still, I think Crazy Taxi: City Rush is a decent time-waster when you have a few moments to spare. 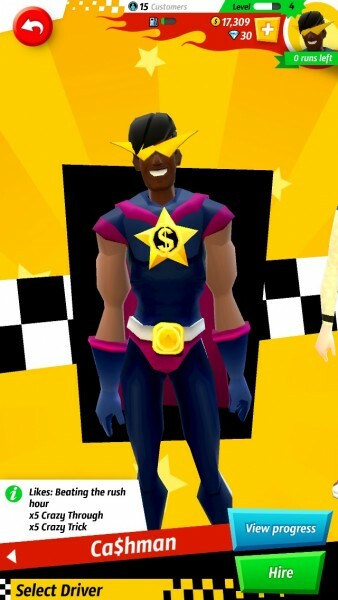 It’s fun to drive around recklessly to do your job as a taxi driver, and the customizations can keep you coming back for more. Due to the tiny gas tank system, though, this is best played during short bursts throughout the day. 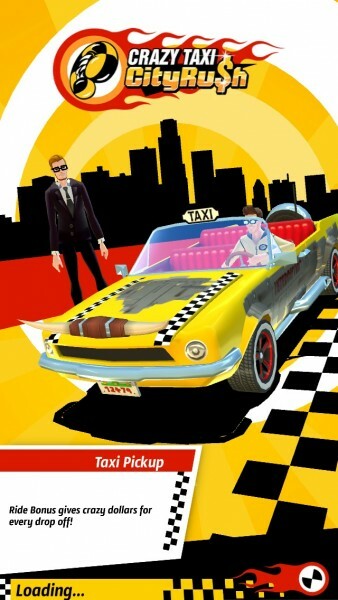 You can get Crazy Taxi: City Rush on the App Store as a universal download for free with in-app purchases.